Are you a Fort Lauderdale guru? Be heard and share your experiences by becoming an 954area.com Contributor. Learn More! Are you a local in the Fort Lauderdale area? Join your community and Get Connected with others in your area. Join FREE! Summer is usually the time when people take constant trips to the beach to get some sun. However, the typically long-lasting summers in Fort Lauderdale mean that many residents seek to entertain themselves with indoor activities. If you want to keep cool and beat the heat, check out a few of the best indoor attractions in Fort Lauderdale. The Xtreme Action Park is the ideal destination for both rainy and hot summer days. The action park is one of the most popular indoor attractions in Fort Lauderdale featuring activities such as bowling, roller skating, and arcades. For those who want an adrenaline rush, there are rock climbing courses, racing, and bazooka blast games (a combination of laser tag and paintball). The park is also the location of Florida’s first XD Dark Ride Theater, a unique interactive experience that will have you at the edge of your seat! After spending the day enjoying its many attractions, stop by their delicious Hershey’s Shake Shoppe, Pit Bar, or All-American Café for a bite. Escape rooms are a fun way to spend an evening indoors with friends as well as an innovative method for companies to enhance team building and problem-solving skills. Plus, they're air-conditioned! Think Escape Games in Fort Lauderdale has four different scenarios: Laboratory 51, The Study, Shady Cavern, and Mayan Ruins. Each one features different settings where teams will have to solve a number of puzzles and obstacles for them to get out in time! If you're looking for a different kind of indoor attraction, give Think Escape Games escape room a try! 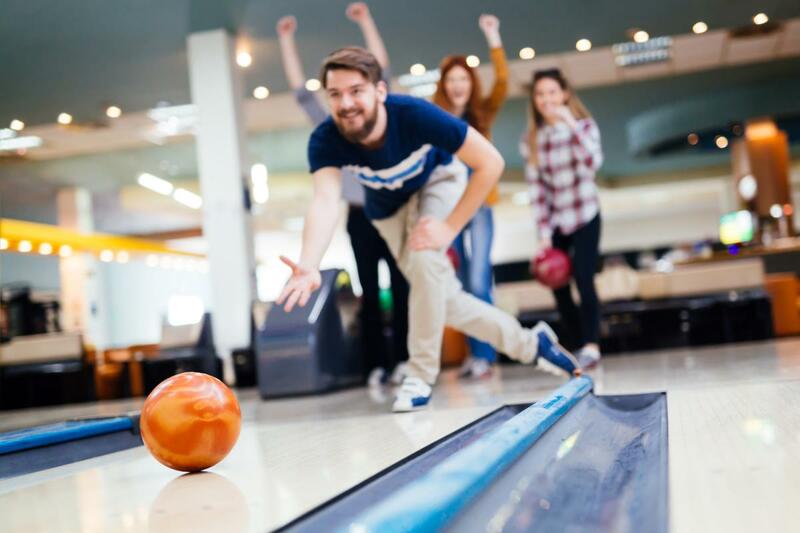 Bowling is always a great choice when it comes to spending an entertaining day with family and friends. Luckily, Fort Lauderdale has a couple of top-quality bowling alleys to choose from. The closest facilities around the city are the previously mentioned Xtreme Action Park and Manor Lanes Bowling. Manor Lanes features 20 state-of-the-art bowling lanes as well as food and drink service for players. Booking is available for special events, and you'll also enjoy stopping by the Sports Den Pub right next door for a beer or two. Open seven days a week, the Funderdome is an indoor sports playground for kids of all ages as it's complete with climbing walls, slides, arcades, a toddler zone, and other activities. The park offers toddler art classes, which is a great activity for them to start exploring their creativity through different projects. The Funderdome also enjoys private rooms for parties and events as well as a café where families can sit back, relax, and grab something to eat. At the Museum of Discovery and Science, visitors can learn more about an unlimited number of interesting things! Uncover the different species of animals that used to inhabit Florida like the well-known megalodon and imperial mammoth. The museum even has a hurricane simulator and an indoor/outdoor otter enclosure where the beautiful creatures hang out and play. With permanent and traveling exhibits, IMAX theaters, and ongoing events, there’s always something to explore at the Museum of Discovery and Science. This popular indoor attraction provides fun for everyone, especially families with children. Spending a great summer in the city comes in many ways. Visit some of the best indoor attractions in Fort Lauderdale and let us know your experience by commenting below! For more things to do in Fort Lauderdale, register on 954area and connect to everything in the Fort Lauderdale area.